So if you want to register a .com domain name for your website or blog it will generally cost you around Rs 700-800. Today i will guide you to buy a .Com domain name for Rs 74 only. 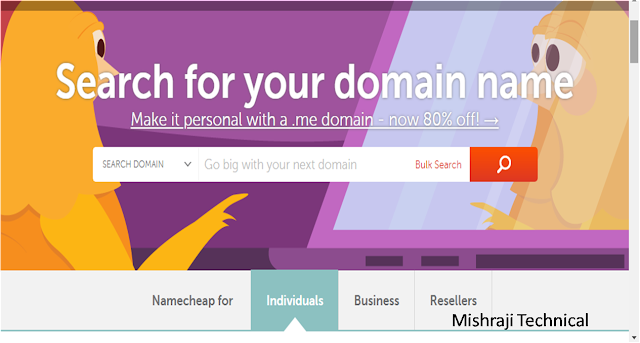 So, to register a domain name for Rs 74 /- you have to visit a website called as Namecheap.com. Then here simply find your domain name which you want to register. Then register your account with namecheap.com and then goto to the checkout page. At the checkout page you have to apply a promo code in capital letter that is "COM88". Then after applying this code your domain name price will slashed to Rs 74 /- which is cheapest than any other domain name provider.